Longtime Dunkin' Donuts multi-unit franchisee Vik Patel is teaming up with two NFL titans to expand the Dunkin' presence in the Louisiana market. 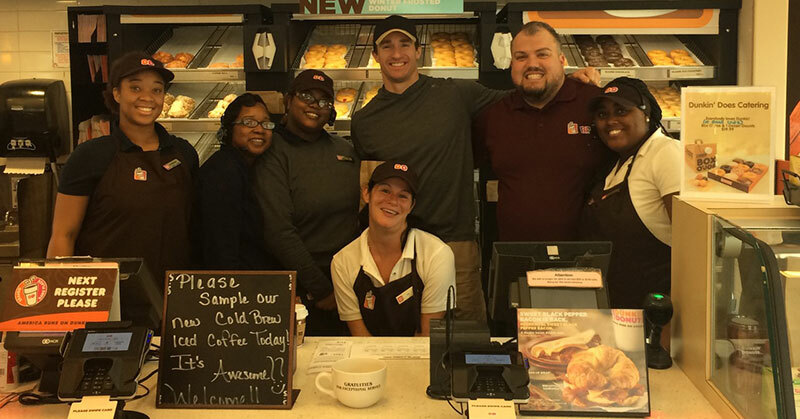 NFL MVP and New Orleans Saints Quarterback Drew Brees, former New York Giants offensive lineman and current FOX Sports broadcaster David Diehl, and multi-unit franchisee Vik Patel are set to develop up to 69 new Dunkin' Donuts locations in New Orleans, Baton Rouge, Shreveport, Monroe, and Alexandria, Louisiana in the coming years. The first new location is set to open later this year and the group will also co-own five existing Dunkin' Donuts restaurants in the state. Patel is a 10-year Dunkin' veteran who, as CEO of the Tampa-based Purple Square Management Co., operates 46 locations in Alabama, Florida, and Louisiana. Now partnering with Brees and Diehl, Bourbon Street Donuts, LLC, will begin opening the first of 69 new Dunkin' spots in Louisiana. "As Dunkin' Donuts franchisees we are committed to growing the brand in Louisiana and playing an important role in the daily lives of people who live, work, and visit here," says Patel, who also serves as CEO at Bourbon Street Donuts, LLC. "Drew has proven his commitment to New Orleans - both on and off the field - and we couldn't ask for a better partner to help expand Dunkin' Donuts' presence in Louisiana. We're excited to open our first few restaurants under this partnership next year, and developing even more restaurants over the long-term." Dunkin' has been pushing for growth in the Southeast market, looking for franchisees in Arkansas, Texas, and Mississippi by offering special development incentives, including reduced royalty fees and local store marketing support, as well as flexible concepts for any real estate format.